With changing regulations, increasing investments and support from domestic banks, fintech is poised to take off in Japan. 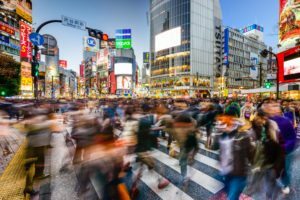 Lots have happened in Japan since the beginning of the year for fintech with a number of new rulings and moves from the public sector being introduced to foster the domestic industry. In April, the Financial Services Agency (FSA), the body that regulates the financial sector, formally announced the establishment of a Fintech Expert Panel, whose purpose is to “promote fintech startup growth regardless of borders.” The move followed the establishment of a fintech “support desk” by the authority in December 2015. In May, laws that regulate and recognize virtual and digital currencies such as bitcoin that have a “function similar to real money” have been passed. The ruling will find the FSA regulating the exchange of virtual currencies and these exchanges themselves, which would be subjected to FSA supervision among other requirements. 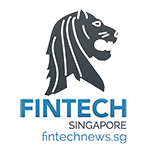 Additionally, relaxed restrictions on bank’s investment in fintech ventures were proposed to allow bank holding companies and banks to take greater stakes in businesses based on the FSA’s permission, thus enabling more capital to flow into fintech innovators. Japan’s abolition of a law that prevented banks to own more than 5% of a technology company is expected to fuel fintech development. “Japanese institutions are concerned that a Google Bank or Facebook Bank will conquer Japan,” Naoyuki Iwashita, head of the Fintech Centre at the Bank of Japan, told the Financial Times. Established in April, the Fintech Centre focuses on facilitating innovations in financial services. Fintech investment in Asia reached US$4.5 billion in 2015, according to a report by KPMG and CB Insights, with China and India leading the trend. Although Japan and Taiwan are said to be lagging behind the likes of Singapore and Hong Kong, they are nevertheless “coming around,” the report says. Notable investments in 2015 in Japan include the deal with Freee, a startup specializing in cloud accounting software, which raised 1 billion JPY in December bringing its total fundraising amount that year to 4.5 billion JPY (US$44 million). In July, Japanese online payments startup and cardless payments app Paidy, raised US$15 million in a Series B funding round led by SBI Holdings and Eight Roads Ventures Japan. One particular area where banks and tech firms have started seriously getting involved in is blockchain technology. Japan Exchange Group (JPX) has started proof-of-concept tests to explore the use of the technology in numerous processes including changing equity shareholders and quantities held on record. A partnership with IBM unveiled in February a series of tests for the use of blockchain technology in capital markets. 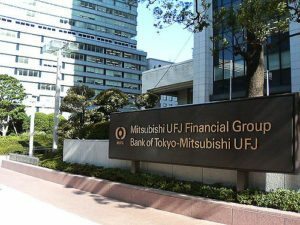 IBM is also working with the Bank of Tokyo-Mitsubishi, one of Japan’s largest banks, to develop and implement a blockchain-based system for contract management between business entities. Japan’s e-commerce and Internet giant Rakuten said earlier this year that it was exploring applications of blockchain technology for e-commerce. In January, Ripple and SBI Holdings announced the creation of SBI Ripple Asia, a new company focusing on expanding the use of Ripple products and services through sales and engineering efforts focused on Asian markets including Japan, China, South Korea and Taiwan. The move was followed a few months later by the establishment of a blockchain consortium aimed at bringing together Japanese financial institutions and banks to explore and trial blockchain technology. Led by SBI Ripple Asia, the consortium – called the Consortium for Considering Using Blockchain Technology to Centrally Provide Domestic and Foreign Exchange Services – aims at creating a new network of partners that would utilize Ripple’s technology for payments and settlement, Ripple said in a blog post. Besides the Consortium for Considering Using Blockchain Technology to Centrally Provide Domestic and Foreign Exchange Services, Japan has another industry initiative called the Blockchain Collaborative Consortium (BCCC), which launched in April. The BCCC is an initiative focusing on researching, developing and deploying blockchain technology and comprises 34 founding member companies from the fintech, technology and bitcoin sectors.